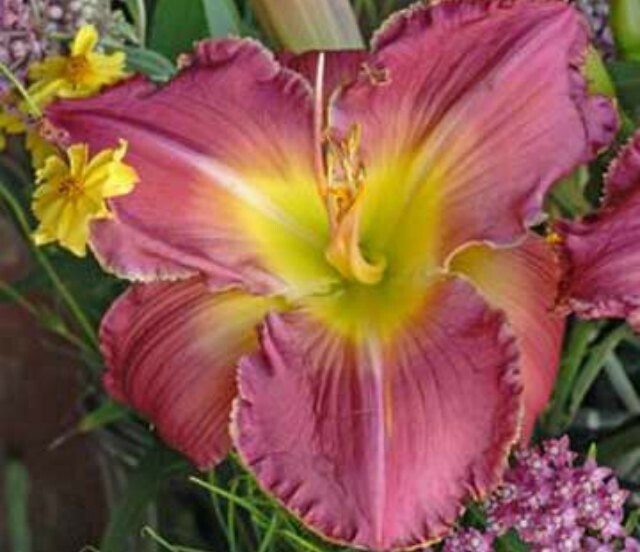 Daylily 'Advance Party' is a huge lavender pink flower with a pale pink eye and a yellow throat. The deeply recurved sepals accentuate the heavily ruffled petals. It is one of the first large flowered pinks to bloom.